Dear friends of the Western Iowa Synod, the Southern Diocese of Tanzania, and of our Center for Agricultural Development (CAD) partner project—greetings and blessings this day of our Lord! We write today to update you on both the status and future of CAD, as well as on the financial status of your previous pledge and/or of the future financial support opportunities. We remember many things at this time. First and foremost our commitment to agricultural ministry in Tanzania whereby 80% of the population relies on subsistence agriculture to meet its daily needs—all the while facing numerous challenges: lack of infrastructure, of soil fertility, of best ag production knowledge, of access to credit, of information regarding and access to markets, of friendly weather patterns, etc. We remember, too, how connected and blessed we in the Western Iowa Synod are by agriculture resource, education, capacity, infrastructure, communications, technology, etc.—even when facing a year of considerably tight margins such as this one. CAD, in its 7 years of active programming, has grown in many ways and has struggled in others. CAD is now at a time of re-evaluation and re-visioning. Meaning, CAD’s most dedicated participants—i.e., committed, generous, spirit-filled, and beautiful members of the CAD Operations Committee and CAD Board, both in the WIS and the Southern Diocese—are now re-rooting CAD more fully towards its original vision of training smallholder farmers through both WIS contributions and a German Lutheran Mission training grant. This will be accomplished via the now timely implementation of a training curriculum developed by CAD in its early phases. CAD staff will be instrumental in the mobilization of smallholders and in some of the training. Training will be offered to groups onsite near their homes on the topics of their; additionally, there will be demonstration plots and 4H programming to certain degrees. To date, 12 groups of 50 (600) smallholders each are in training mode!! That said, imagine having the knowledge but no opportunity to implement it due to lack of access to traditional credit (a reality of the smallholder farmer). Without it, our training efforts prove futile. Thus, CAD will also now focus on SACCOS (Savings And Credit Co-Operative Societies or, micro-financing) groups through the Iringa Hope SACCOS program. SACCOS will provide for the needed short-term community-based loans to implement an enhanced ag production practice which will add to the family’s profitability and their dignity as said profits offer the freedom to enhance their own livelihoods. Most common uses of profits are enhanced nutrition and housing, educating their children, and tithing to their church!! To date, four SACCOS have been established!! For more SACCOS information see the attached flyer and/or go to Iringa Hopes website! We ask that you remember to continue to pray for guidance in our efforts to assist the smallholder farmer in Tanzania, mostly left to his/her own accord with very little assistance from government or community. We ask that you remember to complete any outstanding pledge commitment as soon as you are able. Those with outstanding balances will have a separate balance notice. We ask that you and those you invite along will remember to consider continued support of CAD by whatever means possible as we strive to develop and enhance both vital training and SACCOS components. 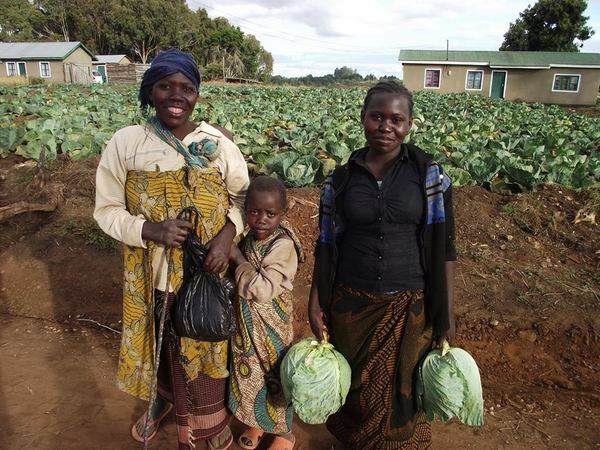 remember, we are long-term, committed companions of the Southern Diocese of the Evangelical Lutheran Church in Tanzania, working together to enhance the dignity and the livelihood of the Tanzanian smallholder farmer. remember our 2016 theme that “We Are Church Together”. Remember that throughout these efforts we give dignity to all and glory to God! Feel free to contact Cindy Wells, WIS Director for Global Mission, with any input, questions, desires to serve in this arena, interest in travel to Tanzania to see for yourself, etc. (cindy.wells@wisynod.org; 712-732-4968 Ext. 441). Please note that any and all financial support should be made payable to the Western Iowa Synod with CAD in the memo and sent to 318 E. 5th St., Storm Lake, IA 50588. We remember and give great thanks to God for all the support you have afforded this vital project thus far, and pray that the Spirit moves you to continue. Asante sana (Thank you very much) & Mungu Awabariki (God bless you all)! !